This is a collection of Cars & Teams for the 2009-2010 ChumpCar races! 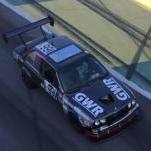 An open album for those who want to post pics of their race cars for the 2014 ChumpCar season. 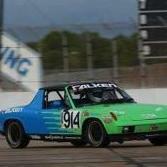 Our tribute to the Falken Porsche guys... only ours is about 40 years older. Team Suprachumps Haute August Nights at P.I.R. Yes, we drank too many margaritas.